Quality workmanship is apparent in all of our system installations. Choose Tyvan contracting and experience the difference a trusted professional can make. Tyvan irrigation operates under Tyvan Industries Inc. a Calgary based company. Founded on the combined experience of Tyler Hinrichsen ( Managing Director ) & Evan Lundgren ( VP & Project Manager ). Together along with a team of driven individuals provide outstanding customer service. Our belief as a team is that through high quality & personal customer service we can provide our customers with the best experience possible. Along the way building long term relationships with individuals that value outstanding service just like us. By choosing Tyvan Irrigation you are making the smart decision when it comes to your irrigation projects. We know the ins & outs of irrigation so you don’t need to struggle through the headache of tackling the project on your own. Our team ensures you can focus on the big picture, allowing us to plan & workout all of the time consuming details that ensure the project is completed smoothly. Time and time again our clients tell us we went over and above their expectations, referring us to family & friends. Some contractors cut corners with insurance, licensing, contracts & tax. 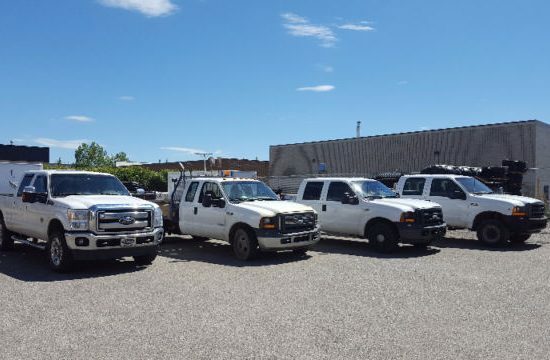 We at Tyvan Irrigation do things right throughout our company. We carry the following insurance, certifications, bonds & accreditation to show our clients that we believe in doing things right. When they originally came out I was not sure I wanted to go with them being so young and a new start up business. After some time I decided to. Sept 2014 Evan and Tyler came out and installed a sprinkler system for me, The service was great I had a few problems and they came out to fix them. Spring of 2015 Tyler and Evan came out and opened up the system, they made some changes and made some adjustments to some of the heads. I am having them back to add some irrigation to some shrubs. Keep up the good work gents!! Evan is a hard worker and very Friendly. The crew was quick and efficient. Evan stopped back to help me out again with No Charge! Thank You! I will Recommend. I found this company on KIJIJI early spring and with a few other companies, asked for a quote. I met the owners Evan and Tyler who came to provide the quote and answer many of my questions. Up reviewing the other quotes I decided to go with LT IRRIGATION who scheduled me in for early May and completed the work within a couple of days. I was impressed with the professionalism and attention to great customer service. I would not hesitate to recommend to friends and family. Thank you guys for a great job and appreciate the follow up checks to ensure the system is working optimally. I used LT Irrigation last year for my backyard and had to use them again this year for my front yard. Evan and team are very professional and courteous. They started and finished on time and did an amazing job cleaning up the mess that the previous owners made when they decided to landscape. I would highly recommend using LT Irrigation to anyone looking to have work done, whether it's irrigation or landscaping. I hired Tyvan to install an irrigation system in my yard in May of 2016. Evan gave me a quote and was very patient in explaining how the job would be accomplished. They stuck to the schedule did excellent work , installed a very nice system and it a great job cleaning up after their work when they were done. In the fall they came and winterized my system and at that time will check out for any equipment malfunctions so I am very confident that I will have a system I will be satisfied with for a very long time. I would highly recommend Tyvan to anyone looking at having an irrigation system installed and want it done right and on budget .